Now that the increasingly erratic and desperately sleazy Obama campaign has decided to cavalierly throw around the word “felony” when it comes to pushing a campaign of lies surrounding Mitt Romney and Bain Capital, this seems like a good time to jump in the wayback machine for a look at the actual convicted felons, criminals, and dubious characters who have always been associated with Barack Obama’s political life. What? What’s that? You don’t want to talk about this? The President opened this door, and now we’re going to walk right on through it. President Barack Obama’s chief of staff, then a congressman in Illinois, apparently attempted to trade favors with embattled Illinois Gov. Rod Blagojevich while he was in office, according to newly disclosed e-mails obtained by The Associated Press. 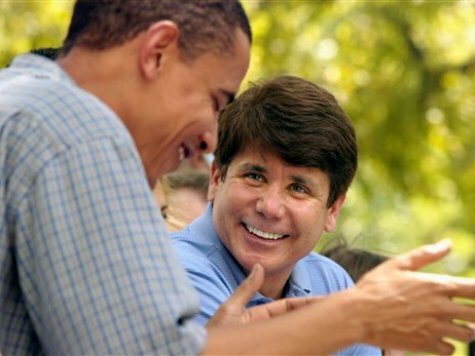 Emanuel agreed to sign a letter to the Chicago Tribune supporting Blagojevich in the face of a scathing editorial by the newspaper that ridiculed the governor for self-promotion. Within hours, Emanuel’s own staff asked for a favor of its own: The release of a delayed $2 million grant to a school in his district. While Rezko’s wife paid the full asking price for the land, Obama paid $300,000 under the asking price for the house. The house sold for $1,650,000 and the price Rezko’s wife paid for the land was $625,000. An ABC News review of campaign records shows Rezko, and people connected to him, contributed more than $120,000 to Obama’s 2004 campaign for the U.S. Senate, much of it at a time when Rezko was the target of an FBI investigation. It’s important to keep in mind that this was dutiful reporting from the media. Any attempts to turn this into the Bain-style narrative it deserved and still deserves to be has always been blunted by the media. This is the shadiest land deal involving a politician in my lifetime, and Obama got away with it legally and politically. Shepherd, 44, the former finance co-chairman of the Democratic National Convention host committee and $100,000-plus bundler for Barack Obama’s 2008 presidential campaign, pleaded not guilty to the charges last month at a Denver court hearing. Denver police on Sept. 13 were called to Shepherd’s house by his wife, Sarah Trainor-Shepherd, who said she had been the victim of domestic violence, according to the arrest affidavit. 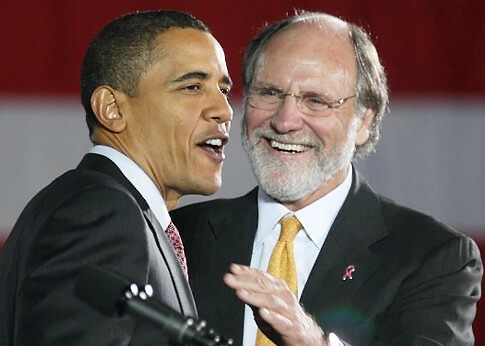 A recent list of top “bundlers” or elite fundraisers released by Obama’s campaign listed Corzine in the highest category — reporting that he had raised more than $500,000 for the campaign. A substantial chunk of those funds were collected at a $35,800 per ticket fundraiser that Corzine hosted at his wife’s spacious Fifth Avenue apartment last April — an event that was touted at the time as part of a concerted effort by the president’s campaign team to reach out to well-heeled Wall Street donors who had been alienated by some of his policies and previous public comments. 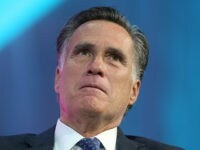 In a sign of his emerging role as a financial guru for Barack Obama, Gov. Jon Corzine Sunday unveiled the latest piece of the presidential candidate’s plan to curb soaring oil prices. In his plan, Obama calls for more regulation in oil markets by promising to close the so-called “Enron loophole” that exempts some energy trading from federal oversight. The rollout also provided a showcase for Corzine, the former Goldman Sachs CEO whom Obama referred to as “our Wall Street guy” at a meeting of Democratic governors in Chicago on Friday. “With 1.8 million donors thus far, we constantly review those contributions for issues. 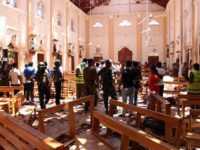 In this particular case, we will be refunding the contributions and have placed the funds in escrow until a trusteeship or other appropriate place to return these funds is established given the interests of the investors,” a campaign official told POLITICO. 9. 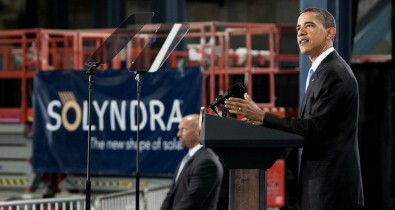 Solyndra: First company to receive taxpayer backed loans from Obama. Solyndra’s investors are Obama bundlers. The FBI raided Solyndra last September. 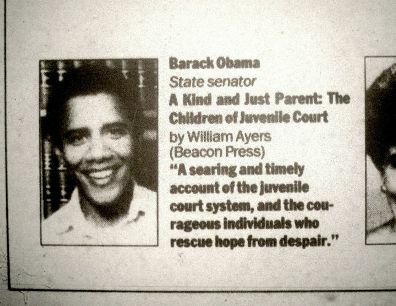 As a presidential candidate in 2008, Barack Obama disavowed any connection with former domestic terrorist Bill Ayers, the Weather Underground radical who was one of Obama’s early backers and his colleague on the board of the Woods Fund in Chicago. We now have proof that Obama’s association with Ayers continued even after Obama had been elected to represent Illinois in the U.S. Senate–in the form of a now-scrubbed blog post placing Obama at the home of Ayers and his wife, fellow radical Bernardine Dohrn, on July 4, 2005. Guess what? I spent the 4th of July evening with star Democrat Barack Obama! Actually, that’s a lie. Obama was at a barbecue at the house next door (given by a law professor who is a former member of the Weather Underground) and we saw him over the fence at our barbecue. Well, the others did. It had started raining and he had gone inside be the time I got there. Nevertheless. We all know the media will refuse to vet Obama’s sordid past until he’s safely out of office. But other than Ayers, every convicted felon and person under investigation listed here was a part of Obama’s political life while he was president or running for president.